As a recent college graduate, I can resonate with the young people entering the professional world with a noticeably different culture from that of older generations. A generation slightly too young to remember the advent of the Internet is now part of the workforce, and employers have to contend with a new set of expectations and attitudes when recruiting new talent. There exists a wide variety of tools that allow employers to reach out to potential recruits and speak to those expectations and attitudes, if employers use these tools correctly. The most obvious tool for an employer is the company website. I hope that your company has a modern, aesthetically pleasing, and professional-looking website that does not look like it dates back to the dot-com bubble. From my experience doing sales research, there is an upsettingly high number of companies settle for something like 2000 apple.com over 2015 apple.com. Now, before I get into a rant about bad web design, let’s look at another area that you can’t ignore when using your company website as a recruiting tool: the content. College students will use your website to research your company. According to the 2015 survey by the National Association of Colleges and Employers, 98.2% college students seeking work will use company websites to at least research potential employers. You will need a website that effectively showcases your company’s business, engagement, and culture. 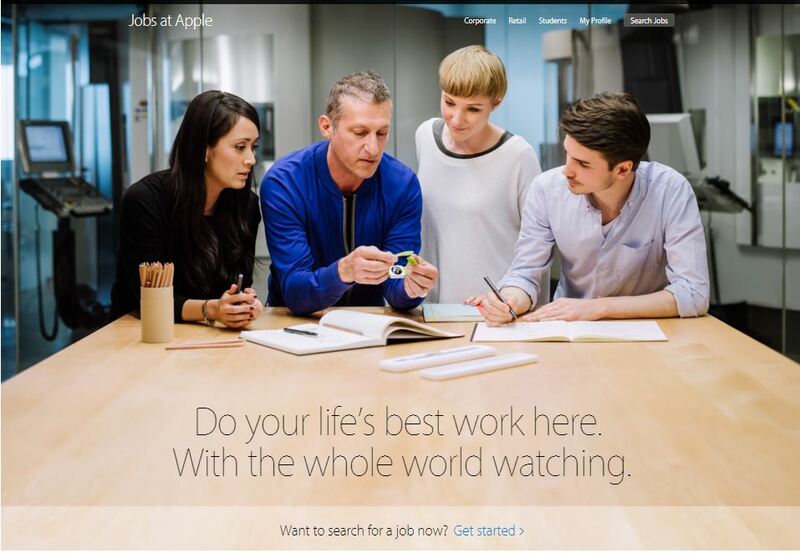 One of my favorite career pages belongs to Apple. Apple has entire sections on career opportunities and internships that describe the challenges and benefits of working for the company. This leads to an important point about attracting students to your company: they want to be confident that they are not jumping into something blindly. You will want a website that can provide potential candidates with that confidence. Even if your company has a beautiful and informative website, most candidates won’t bother with it if it’s not easy to navigate or apply. The application process should be as simple as possible. Consider as a warning Target’s disastrous initial attempt at running its own e-commerce site in 2011. The poor design and periodic crashes damaged Target’s reputation and drove consumers to competitors with better-run websites before they finally fixed it. A job site is not the same as an e-commerce site; however, there is a lesson here: make sure that your job site is functional. You’ll repel more than a few qualified candidates with poorly optimized job site or an online application that takes too long to complete. Now let’s talk about meeting potential candidates offline. The NACE survey mentioned above indicated that employer representatives on campus are the second most effective job-search resource for students in job search. By having someone on campus, you can attract candidates to your company. That is, if you send the right person. NACE warns against sending a “warm body” to campus just to let the students know you exist. An untrained, unenthusiastic, or unscrupulous rep will do more harm for your company than good. You want to send a good mix of employees from different teams and levels who can effectively sell your company to potential applicants and answer any questions or concerns they may have. The Harvard Business Review suggests including younger employees and alumni as reps, as they can speak to students’ goals by showing the work environment and advancement opportunities for entry-level employees, and putting your company’s culture on display. Along with the question of who should be selling your company to applicants is the question of what branding message you would like to give. Paul Timmins, Director of the Career Service Center at the University of Minnesota, College Of Liberal Arts, cited shared values and growth opportunities as two most common factors in students’ decision making. Students with multiple opportunities will not choose an employer just as a source of income or experience - they want their employment to be satisfying. A case in point would be a friend of mine who landed a cushy Silicon Valley job with competitive pay right out of college only to leave it at the first opportunity. It turned out that the job was the farthest thing from a calling to him, and the benefits could not make him stay. Developing relations on campus is not limited to setting up a booth at a career fair. Keeping connections with targeted schools will give you a constant source of new talent. It’s even better to run or sponsor a university program that converts interested students into stronger candidates for your company. A curious student who finds an employer reaching out will be more likely to go back to that employer. An example of a good partnership between a university and a company is the one between J.P. Morgan and my alma mater, the University of Chicago. J.P. Morgan’s recent involvement at UChicago has included sponsoring a civic engagement program and putting on a tour with panels and networking events at its Chicago office as part of UChicago’s professional development program for undergrads. Because of its involvement, J.P. Morgan has contributed to the professional development of some of UChicago’s best and brightest students and attracted a fair number of UChicago alumni to its ranks. Today’s college students are part of a generation that grew up with the Internet, and of course they more or less live on it. Therefore, not surprisingly, social networking sites ranked number 5 in term of use rates as a job-search resource among college students. When doing social recruiting or recruitment marketing through social media, employers should use the sites where students actually use to connect with their friends, watch celebrity feuds play out in real time, and share the latest memes. For example, putting out engaging material through popular outlets like Facebook or BuzzFeed will make your company more visible. 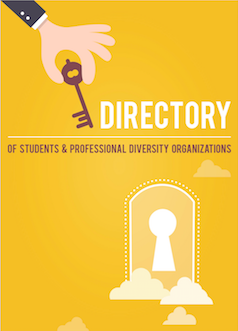 One Click to Download This Indispensable Tool for Your Diversity Recruiting Efforts. 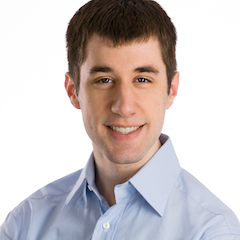 Andrew is a technical writer and a 2014 graduate of the University of Chicago majoring in linguistics. Andrew is a content contributor for Rakuna, the campus recruiting Web and mobile solution for employers of all size. To supercharge your campus recruiting process, sign up for a risk-free happiness-guaranteed trial with Rakuna Recruit – the No. 1 candidate lead capture mobile application! « What do students want from a career fair?